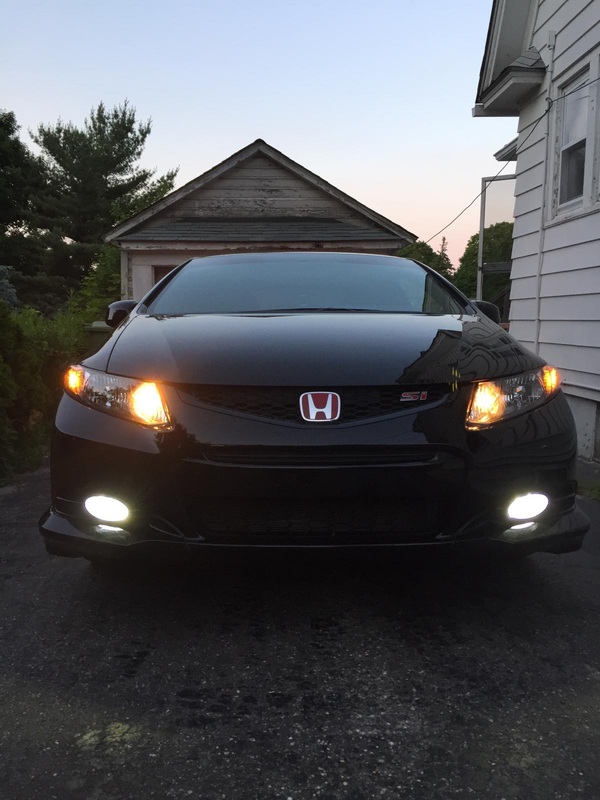 9th Gen Honda Civic Fog Light LED Bulbs! USA Made SLF! Luxeon LED Housings! Thread: 9th Gen Honda Civic Fog Light LED Bulbs! USA Made SLF! Luxeon LED Housings! 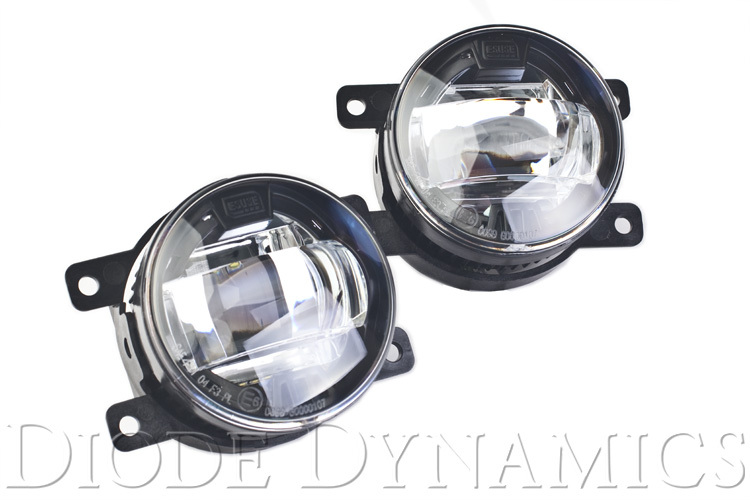 Diode Dynamics carries LED bulbs for replacement of your Honda Civic's fog lights or DRLs, in all major sizes. They are available in HP, XP, and SLF models. This will make your Civic's fog lights a nice bright white (or yellow) that closely matches factory-equipped HID lighting! Just simple plug and play, replace the bulb and you are good to go! 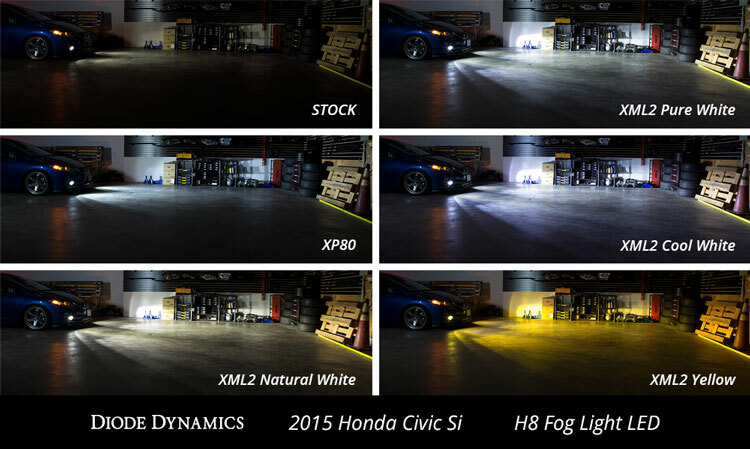 Diode Dynamics offers several bulb models options so you can choose what fits you best. These options are listed by the design and the lumen output of each bulb, compared to the factory bulb. HP48: (265 lumens) Slightly Lower than factory brightness. Fitment. HP, and XP bulbs use an inject-molded terminal, with a full-size base connector, designed for exact replacement of your factory bulb. Included in your order is TWO BULBS (to fit your Honda Civic). Last edited by Diode Dynamics; 01-19-2018 at 02:02 PM. any time line for 2014 civic si coupe lights will be out? Let me know when the XML2 is out in yellow please! I was so impressed with the first LED's I had purchased from you guys that I just put in another order. 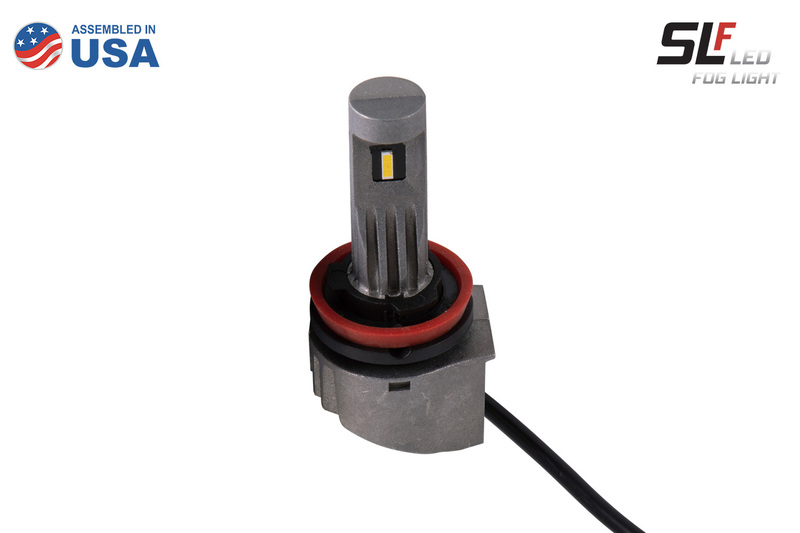 OEM-grade fog lamp housing that utilizes LED technology. It's a direct replacement for 2013+ Civic Si Sedans. It replaces the entire factory fog lamp housing. So if I purchase your XML2 in yellow (when they come out), I should purchase these to help put all that light to the road? Will it be a HUGE difference in output compared to the factory? I see the LED's are built in, will you even offer these with the XML2's? where to buy fog light bulbs?